We have teamed up with Kidd’s Place Sporting Clay Range in Holly Springs, NC to offer an unforgettable outdoor experience. Cast! Choose between a 4 hour or 6 hour guided fishing trip on the top big bass lake in the North Carolina. Shearon Harris! Fish in comfort from a Triton 20 XS Elite for bass, crappie and huge white perch. Bring your own gear or let us provide you with everything you need. Conveniently located just 5 minutes from Kidd’s Place. Blast! Test your skills at Kidd’s Place Sporting Clay and Pistol Range. One of the most diverse and challenging courses you will ever shoot. Their new state of the art outdoor pistol range is awesome! Learn more at www.kiddsplace.com. 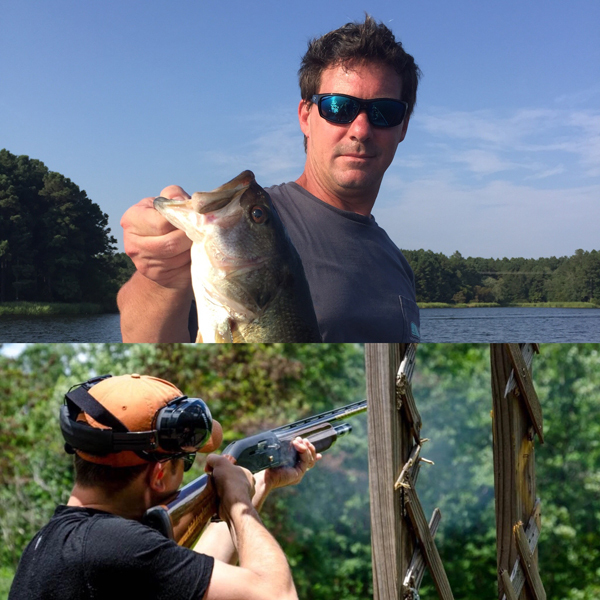 Call 919-669-2959 for more information and treat yourself to some of the finest shooting and fishing opportunities North Carolina has to offer.